Free Recruiting Software Can Help Your Agency! Are you looking for an easy and simple way to navigate through countless resumes? iReformat offers free recruiting software that offers your agency the ease and simplicity you need to increase productivity and reformat resumes in no time at all. As you can see, choosing to use free recruiting software for your agency can offer loads of benefits. If you’re interested in giving this a try, get iReformat for free. iReformat helps reduce the time consuming process of reformatting resumes for employment recruiters and staffing agencies. Want to try the best free recruiting software on today’s market? We are proud to offer you a 15 day free trial to Recruiteze where you get access to the entire system, and a free basic membership with limited access! 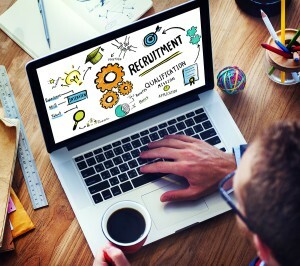 Recruiteze allows candidates to apply, and be added to your database immediately, in an online, user friendly way. End-users can access candidate resumes online and make changes quickly and easily. Tracking talent has never been easier with your included custom job board as well. It allows candidates and customers easy access to information, and creates a level of professionalism that’s expected in today’s marketplace. Click here to try Recruiteze for free! Are you tired of spending hours on end formatting resumes, try iReformat. iReformat is free recruiting software that allows you format your daily resumes in a time efficient manner without any hassle. iReformat also comes with a free basic memberships and other packages start at just $10 a month. To use iReformat, click here.